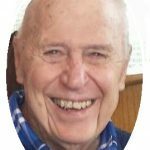 Leon Franklin Wilkens, age 85, passed away at his home in Grayslake on Sunday, February 26, 2017. He was born March 5, 1931 in Chicago to Leon F. and Ida Marie (Harvey) Wilkens Sr. He was a veteran of the US Army and was a member of St. Mary of the Annunciation in Mundelein. He was a member of SAR, Mayflower Society, VFW and the American Legion. Leon was a Centel supervisor of warehouse, buildings and vehicles. He is survived by his wife Virginia Concetta Viscuso-Wilkens, whom he married on July 4, 1953, his children, Kevin Carl Wilkens, Eric John Wilkens and Teresa Rose Wilkens; his grandchildren, Ryan Matthew (Kelli) Wilkens, Rachel Marie (Ryan) Seymour, Nicholas Frank Griesbaum, Mitchell Frank Griesbaum, Brittani Barbara Griesbaum, Danielle Virginia Griesbaum, Christopher Lee, Collette, Virginia Rose (Chris) Blaisdell, Brandon Cordes, and Hillary (Ron) Smith; and six great-grandchildren. He was preceded in death by his parents and one son, Leon F. Wilkens III. Friends of the family may visit from 4:00 p.m. to 8:00 p.m., Wednesday, March 1, 2017 at Strang Funeral Chapel & Crematorium, 410 East Belvidere Road, Grayslake, IL 60030. Funeral mass will be Thursday, March 2, 2017 at 10:00 a.m. at St. Mary of the Annunciation Church, 22333 West Erhart Road in Mundelein followed by interment at St. Mary’s Cemetery. For information please call 847-223-8122 or visit www.strangfuneral.org. Frances M. Phillips, age 72, resident of Grayslake, passed away Friday, February 24, 2017 at Journey Care in Glenview. She was born August 7, 1944 in Wahpeton, ND to Vincent and Nora (Feerick) Bald. She was a very independent spirit who loved birding and traveling extensively with friends and family. She was a devout Catholic who brought the spirit of our Lord into every part of her life and shared an out-going and fun-loving demeanor with everyone close to her. Frances is survived by her daughter, Laura Phillips of Chicago and her son, Vincent (Maggie) Phillips of Grayslake; grandchildren, Jack and Elizabeth of Grayslake; siblings, John (Diane) Bald of Minnesota, Paul (Shirley) Bald of Hoffman Estates, James Bald of Minnesota, Rosemary Kaczynski of Wisconsin, Patricia Rickaby of Minnesota, Betty Lou (Jerry) Elfert of Minnesota, and David (Marlys) Bald of Minnesota; and many nieces and nephews. She was preceded in death by her parents, two brothers, Bobby and George, and one sister, Rita. A visitation is scheduled for Monday, February 27, 2017 from 5:00 p.m. until 9:00 p.m. at Strang Funeral Chapel & Crematorium, 410 E. Belvidere Road, Grayslake, IL 60030. A funeral mass is scheduled for Tuesday, February 28, 2017 at 10:00 a.m. at St. Gilbert Catholic Church, 301 East Belvidere Road, Grayslake, IL. Interment will be held privately. For information, please call 847-223-8122 or go to www.strangfuneral.org. 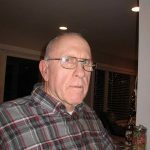 William “Bill” P. Bouma (79) of Wildwood passed away at his home February 23, 2017. He grew up in Gurnee, IL and spent his life in the greater Grayslake area. Bill graduated from Warren Township High school 1956. He married Jeredene “Jerry”Anderson of Wildwood in February 1962. He was a career truck driver for Peter Baker and for a period of time, owned his own business, Bouma Trucking. He was preceded in death by parents John and Marie Bouma and his wife Jerry. Bill is survived by his children; Jamie (Travis) Vanderpool, Dan (Linda) Bouma, Kelly (Kerri) Bouma, Tracy (Andre) Surdez, sisters; Leone Tasto and Florence Sablan, 4 grandsons, 4 granddaughters, and 1 great-grandson. His joys were cars, Wheel of Fortune, gardening, home improvement, NASCAR and camping in Wisconsin with Jerry. Bill was a hard-working man, dedicated husband and father. His grand- children referred to him as Popo. A visitation is scheduled for Tuesday, February 28, 2017 from 4:00pm until 8:00pm at Strang Funeral Chapel & Crematorium 410 E. Belvidere Rd. Grayslake, IL 60030. A funeral service is scheduled for March 1, 2017 at 10:30am at the funeral chapel. Interment will follow at Highland Memorial Park in Libertyville, IL. In lieu of flowers, donations can be made in his honor to; Wounded Warrior Project or Stop Cancer. For more information please contact (847)223-8122 or log onto www.strangfuneral.org. Edwin Lawrence Hall, Jr., age 92, of Grayslake, IL, passed away peacefully at his home on February 23, 2017. Ed was born to Edwin Sr. and Maude Hall in Grayslake, IL on January 16, 1925. As the oldest of three siblings, he grew up in the Grayslake area and graduated from Warren High School in 1943. In 1944, he enlisted in the Marine Corps and left for service to his country. Upon his honorable discharge from the military, he began his business career at Fansteel, Inc. Shortly thereafter, Ed began working with his father in the family business, Hall’s Food Mart. However, his career truly started when he, his brother Bill, and good friend Ed Bauer opened up Parkway Foods in 1961 in downtown Grayslake. The business became a staple of the town and was a very successful grocery store and catering company. To this day, people remember the location of Parkway Foods. It truly left a mark on the entire town, and Ed was known to be a dedicated owner and the cleanest grocer in the state of Illinois! He was also committed to the town of Grayslake being an active member on the Chamber of Commerce and serving on the Board at the Bank, ultimately becoming the President of Grayslake National Bank. He was respected by all who knew him, and his optimism and laughter were contagious. Ed married his high school sweetheart, Audrey Duell, on November 24, 1944, and their marriage resulted in the birth of six children (Cheryl, Susan, Kathryn, Jennifer, Cynthia, and Kenneth). He later married Barbara Wurl and became stepfather to her son, John. After her death, he met and developed a long relationship with Linda Devine. He is preceded in death by his parents, his wife Barbara, his sister Margaret Hagglund, his daughter Susan Dobson, and his grandson Ryan Fitzpatrick. He is survived by his partner Linda, his brother William Hall (Katy), his five children, his stepson, nine grandchildren, and 17 great grandchildren. Visitation will be at Strang Funeral Chapel & Crematorium 410 E. Belvidere Rd. Grayslake, IL 60030 on Sunday, February 26th from 3:00 pm-7:00 pm with a service at 7:00. In lieu of flowers, please make a donation to Advocate Hospice. For more information please contact (847)223-8122 or log onto www.strangfuneral.org. 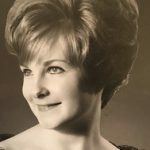 Julia Bernadine Schlicht (nee: Griffiths), 89, of Gages Lake, IL passed away Wednesday, February 22, 2017, at Condell Hospital of congenital heart failure surrounded by her loving family. She was born in Hibbing, MN to Roy and Margaret Griffiths. She was united in marriage to Joseph Schlicht in 1948, who preceded her in death in 2013. She was an RNET employed at St. Therese Hospital from 1960-1987. Julia worked at Ann Kiley until 1999. She was a faithful member of St. Gilbert’s Church in Grayslake from 1954. Julia was a very loving wonderful and compassionate mother of 13, grandmother of 30, great-grandmother of 23, and great-great-grandmother of 1. She is survived by her siblings Patricia Prevetz, Esther (Jim) McKenzie, Bryan Griffiths and Deacon James (Dorothy) Griffiths. She is also survived by her 10 loving children Dave (Nancy), Susan, Lorraine Butterfield, Edward, Joseph (Janine), Julie, Margaret, Jayne, Cathy (Mike) Morrison, Therese (Greg) Skarbalus, and her son-in-law Bill Roberts. In addition to her parents and husband she was preceded in death by her siblings Roy, John, and Ed Griffiths, Mary Margaret Duvier, and Eleanore Leaman, her sons Charles and Paul “Duffy” Schlicht, her daughter Mary Roberts, her son-in-law Charles Butterfield III and great-grandson Ryder Butterfield. She will be sorely missed by all and was loved by many. A visitation is scheduled for Friday, February 24, 2017 from 4:00pm until 8:00pm at Strang Funeral Chapel & Crematorium 410 E. Belvidere Rd. Grayslake, IL 60030. A visitation will continue on Saturday, February 25, 2017 from 9:00 until 10:00am with the mass commencing at 10:00am all at St. Gilbert Catholic Church 301 E. Belvidere Rd. Grayslake, IL 60030. Interment will be held privately. For more information please contact (847)223-8122 or log onto www.strangfuneral.org. Stephen L. Gonder, 63, a resident of Wildwood, passed away on Monday, February 20, 2017 in Green Bay, WI. He was born December 5, 1953 in Washington D.C. to Ivan and Kathryn Gonder. Stephen was retired, but had worked for Shogren Fencing Company for over 20 years. He was a member of the American Legion in Gurnee and enjoyed golfing. Stephen is survived by his son Cory Gonder, his fiancé Lynn Maki, and his sister Karen Stockwell. He was preceded in death by his parents and his brother Clay Gonder. A memorial gathering and service will be held on Saturday, February 25, 2017 from 2:00pm to 4:00pm with the service at 4:00pm at the American Legion 749 Milwaukee Ave. Gurnee, IL 60031. Interment will be held privately. In lieu of flowers, memorials may be made to the American Legion. For more information please contact Strang Funeral Chapel & Crematorium at (847)223-8122 or log onto www.strangfuneral.org. Mark S. Dittmer, 45, a resident of Round Lake Heights, IL passed away Tuesday, February 14, 2017. He was born December 6, 1971 in Chicago, IL to Gerald and Darlene Dittmer. Mark was an outdoorsman that loved to fish and hunt. He most recently worked at Prairie Materials in Mundelein. 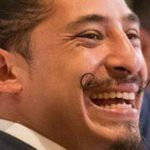 Mark was well loved and known by family, friends, and community as a constant giving presence in their lives. Mark is survived by his loving partner “wife” of 27 years, Jennifer Leist-Jarvis, his daughter, Allison Nicole Dittmer, whom he lovingly called “Boogs”, his parents Gerald and Darlene Dittmer, his siblings Kathleen Dittmer, Geraldine (Steven) Fester, Jeffery (Tracy) Dittmer, Edward “Jim” (Carolyn) Dittmer, John Dittmer, and Matthew Dittmer, and loved by his numerous in-laws, nieces, and nephews. A private service was entrusted to Strang Funeral Chapel & Crematorium 410 E. Belvidere Rd. Grayslake, IL 60030. For more information please contact (847)223-8122 or log onto www.strangfuneral.org. Marjorie P. Woll, 72, a resident of Grayslake, passed away Wednesday, February 15, 2017 at her home. She was born June 5, 1944 in Waukegan, IL to Fredrick Singleton and Helen Alice Brawley (nee: Galvin). 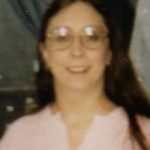 Margery Brawley Woll started her schooling at St. Gilbert in Grayslake, Il then Graduated from Grayslake High School in 1962. She continued her education at Northwestern University with a Bachelor Degree in English Literature. Graduate studies started at Alverno College in Milwaukee, WI where she received a Bachelor of Science degree in Nursing. In 1992 Margery earned her Master’s Degree in Nursing from Marquette University. Margery worked at many hospitals with many accomplishment including starting one of the first immediate care centers in Vernon Hills. She worked at Evanston Hospital, Condell Hospital and Victory Hospital and finished her nursing Career at Rush North Shore University Hospital where she was the AVP of Surgical, Maternity and Ambulatory Services. Margery married Ronald Woll on December 21st 1968 and had a daughter Shannon Love Woll who was born on July 21, 1970 and a son David (Danielle) Woll born May 23, 1972. Margery has four grandchildren Maxwell Woll age 12, Lillianna Woll age 9, Jaylynn Worley age 10 and a new Grandson Jaxson David Woll who is 11 weeks old. Memorial Services will be held at Strang Funeral Chapel & Crematorium 410 E. Belvidere Rd. Grayslake, IL 60030 on Thursday, February 23rd. Visitation will be from 4pm – 7pm with a service commencing at 7:00pm to celebrate her life. Donations can be made in her name to St, Judes Children’s Hospital or directly to her husband Ron. Interment will be held privately. For more information please contact (847)223-8122 or log onto www.strangfuneral.org. In loving memory of Anthony Solano Hernandez, Anthony was 27 when he passed away suddenly on February 13, 2017. His spirit lives through his mother Adriana Hernandez, his father Tony Solano, his brothers and sisters Angel, Alexis, Christopher, Erick, Andrea, and Anessa. Along with many other family members and friends that loved him dearly. He was an outdoorsman who loved to fish. He enjoyed life and lived it to its fullest, always surrounded by those he loved. Anthony was always one to put a smile on family and friend’s faces with his witty sense of humor. He was full of love and compassion, and was always willing to go the extra mile to help those in need. A visitation and funeral service will be held on Saturday, February 18, 2017 from 12:00 p.m. until 4:00 p.m. with the funeral service starting at 4:00 p.m. at Strang Funeral Chapel & Crematorium, 410 East Belvidere Road, Grayslake, IL 60030. In lieu of flowers, please donate to his gofundme page. For information, please call 847-223-8122 or log on to www.strangfuneral.org.